Failure of ossification of complete ossification of the patella. Occurs in 2-6% of the population. The patella is the largest sesmoid bone in the body. Primary ossification center appears to 4-6 years old. Secondary centers at 12 years old. Generally men <20years old involved in sports. May have localized tenderness on exam. Trauma can cause the fragment to separate through a fibrous union. Generally easily identified on plain knee films. 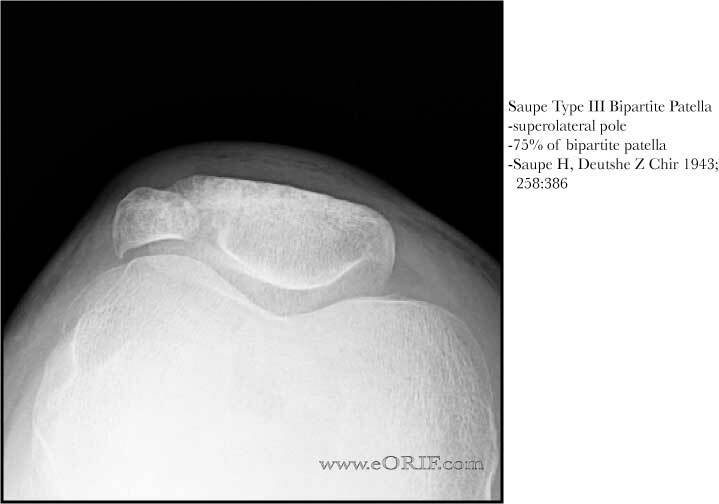 MRIL fat-suprressed T2-Weighted images may demonstrate bone marrow edema in the bipartite fragment in symptomatic patients. 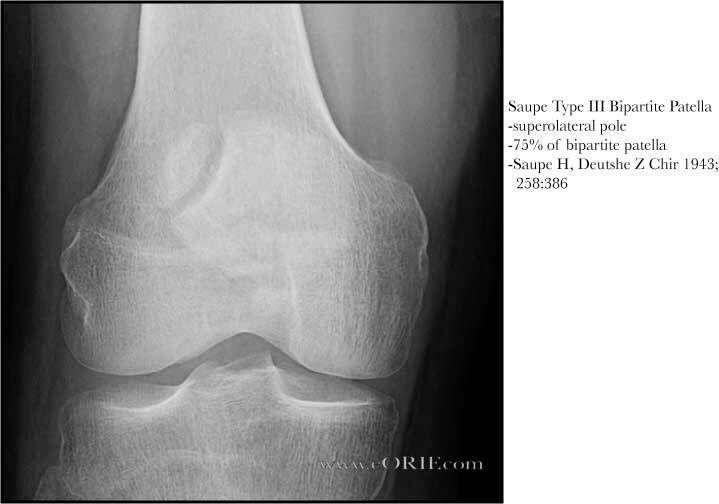 Saupe Classification: Type I:inferior pole of the patella (5%). Type II:lateral margin (20%). Type III:superolateral pole (75%) (Saupe H, Deutshe Z Chir 1943;258:386).